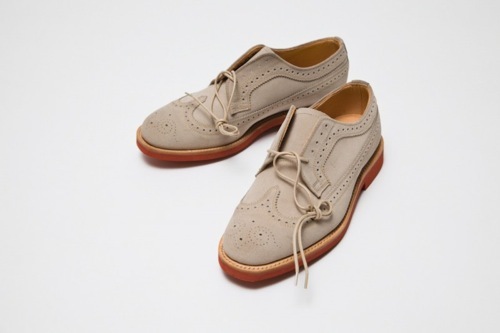 After a long drought in good Brogues, New York City based Rest Store's Restation and Marc McNairy have collaborated to finally bring us a well executed version of the oxfords we have all come to love. 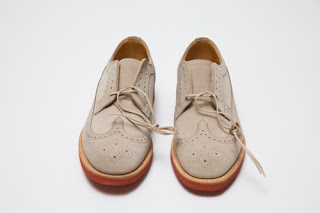 For their take, the duo has released the Longwing Brogue in bone suede that is perfectly accented with a red brick sole. Its the perfect shoe to get you through the Spring season while still looking as dapper as ever.